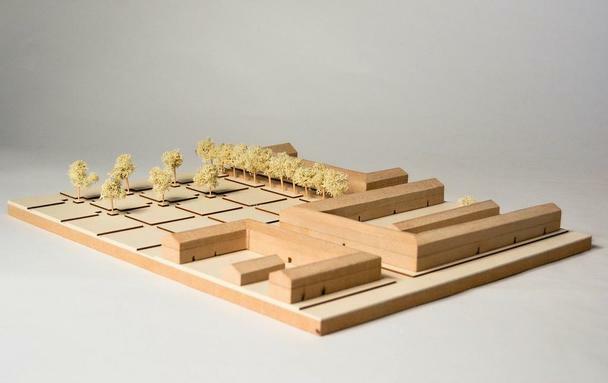 This project aims to set up the Palazzo del Te as the foreground of its context, so that other buildings won’t distract the viewer’s attention from the palace. 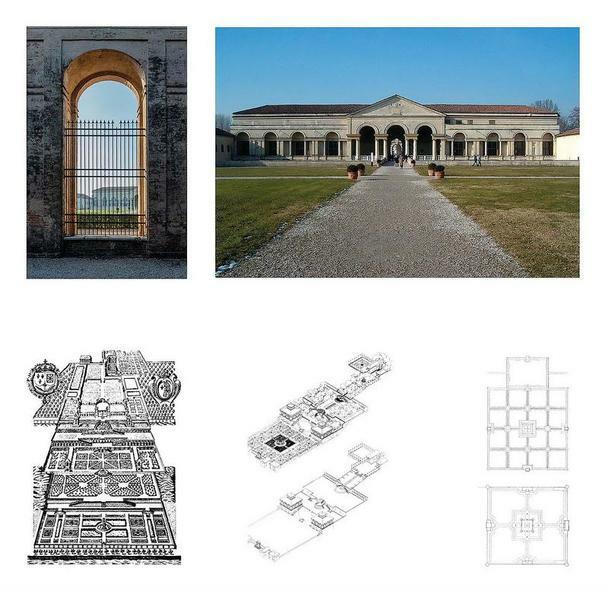 The construction complies with the basic principles even though it disregards some of the traditional rules of the renaissance-architecture. For incident the pillars don’t have the traditional function of a column but have only an aesthetic function. 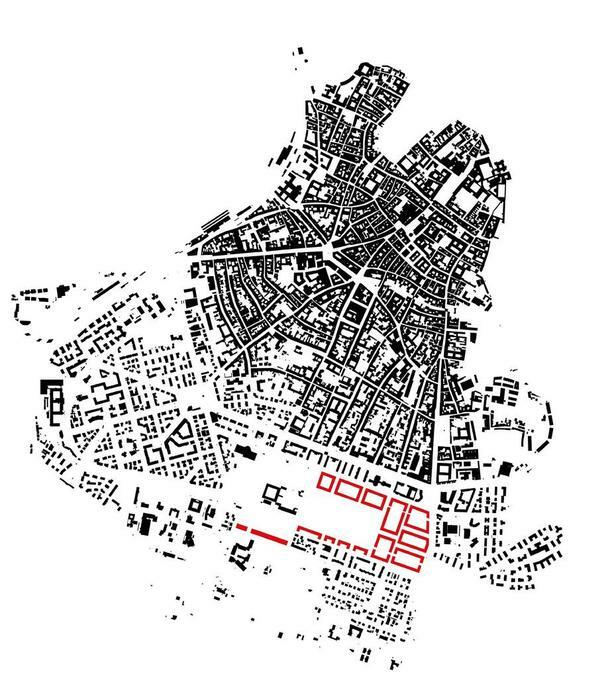 The Place is located in the axis in order to constitute the centre of the area. 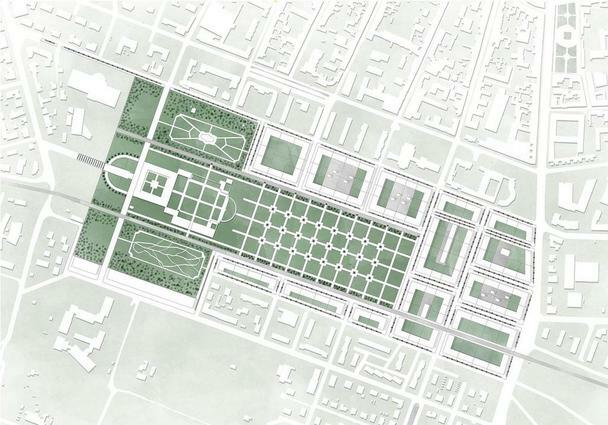 To fulfil this goal the environment was designed anew and the green area behind the palace garden was reduced. Additionally, the green area was moved in line with the palace, so a straight perspective between the area and palace was achieved. 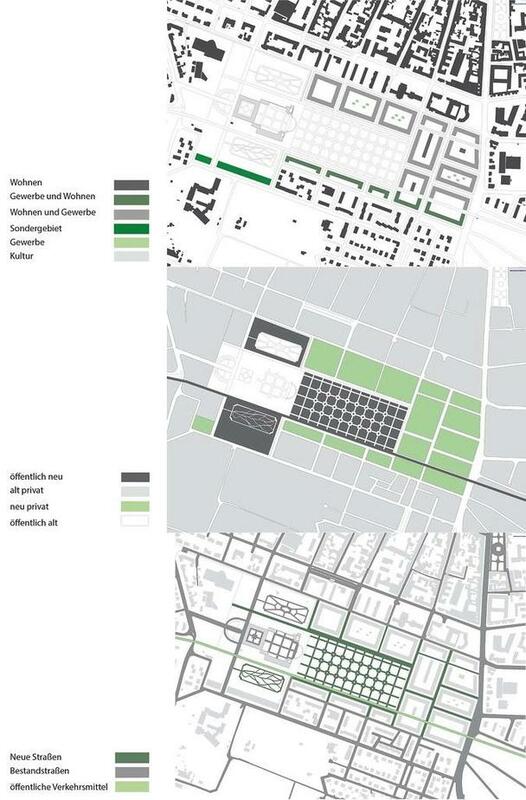 The green area is framed by residential buildings, cafés, offices and shops, which are located at the end of the area and parietal. This shall strengthen the effect of the view to the palace. 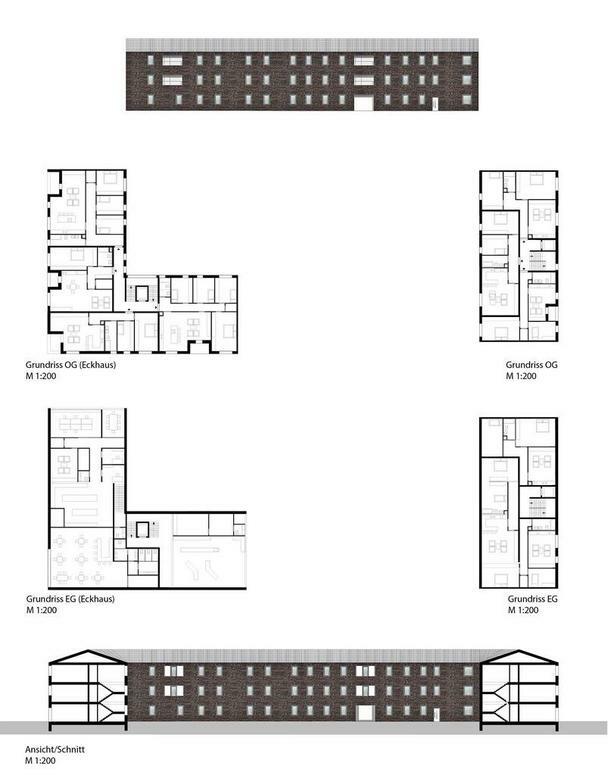 Besides in this way the seized living spaces are replaced and the environment is spatially closed. 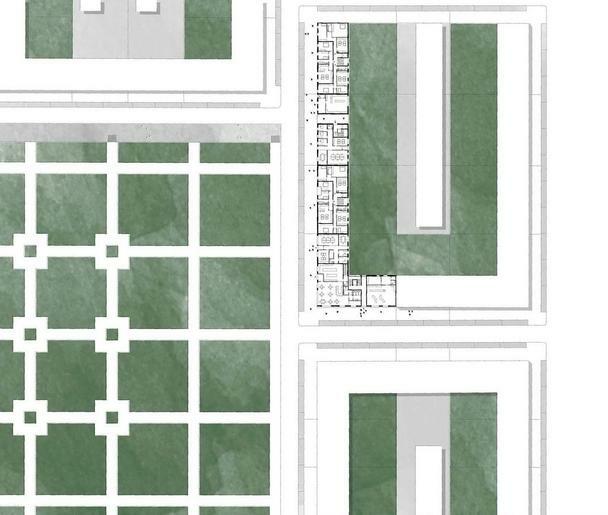 The main intent and purpose of the green area is that the Palace is mirrored in the central axis. Further the buildings on the left and right side of the area are parallel, while the opposite laying buildings have the same width and resemble in appearance. 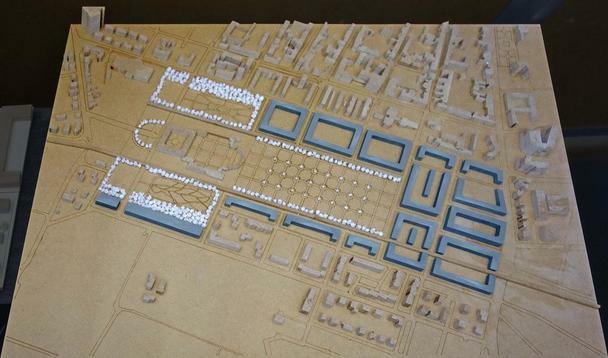 Throughout the drafting process the public park which is an UNESCO world cultural heritage, was considered too. To emphasize the mirror effect of the whole construction another public park was erected on its opposite. Both public parks are perfectly included into the complex. A minor problem was the railway line on the left side of the palace which separates the palace from the new public park. In order to achieve a balance, a dam was constructed on the side of the old public park. Thusly, the railway line is included into the overall view and the Palazzo del Te harmonizes with the environment, especially through the mirrored concept.